There are four major professional golf tournaments which take place on a yearly basis and are the four most prestigious tournaments in men’s professional golf. Here we discuss them in detail and also place a special mention on the PGA Australasia – it may not be one of the four majors, but it is particularly popular amongst players in Australia and New Zealand. We are passionate about golf at EbalonGolf.com and we hope to ignite this passion in our readers as well. Also known as the Masters of the US Masters, the Masters Tournament takes place every year in the first full week of April and, unlike other tournaments, is always held at the same location – the August National Golf Club, a private course in Augusta, Georgia. The tournament was established in March 1934 by amateur champion Bobby Jones and Clifford Roberts, an investment banker, and is an official money event of the PGA Tour, the European Tour, and the Japan Golf Tour. The United States Open Championship, commonly known as the U.S. Open, is the annual open championship of golf in the United States. It is the second of the four major golf championships, and is part of the official schedule of both the PGA tour and the European Tour. The U.S. Open, which was established in 1895, takes placed mid-June across a variety of courses, and is set up in such a way that scoring is very challenging, with a premium placed on precise driving. Often referred to as the Open or the British Open, the Open Championship is the oldest of the four majors, having been established in October 1860. 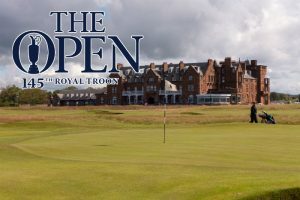 Held in the United Kingdom and administered by The Royal and Ancient Golf Club of St. Andrews (R&A), it is the only one of the four major golf championships which takes place outside of the United States. Played in mid-July, the Open Championship is held over a 4-day period in mid-July. The PGA Championship, also known as the U.S. PGA outside of the United States, is the final tournament of the major golf season. Played in mid-August on the 3rd weekend prior to Labour Day weekend at various courses across the United States, the PGA Championship was established in 1916 and is an official money event of the PGA Tour, the European Tour and the Japan Golf Tour. Winning the PGA gains the player privileges that advances career security and winners are automatically invited to play in the other three majors – the Masters Tournament, the U.S. Open, and the Open Championship for the next 5 years, and are exempt from qualifying for the PGA Championship for life. While the PGA Australasia may not be one of the major golf tournaments, it is particularly popular amongst fans and players alike in Australia and New Zealand. Known as the ISPS Handa PGA Tour of Australasia for sponsorship reasons, the PGA Australasia was established in 1973 and official events on the tour count towards World Golf Ranking points. Most of the leading participants are Australian and from New Zealand, but players from all around the world also participate. Hopefully our Australian betting sites guide to the major golf championships has been insightful and be sure to check back with EbalonGolf.com on a regular basis for updates.